Tennis Heaton is one of Yorkshire’s leading tennis coaching providers offering tennis programmes for all ages and ability levels. At Tennis Heaton we are a team of dedicated professional Tennis coaches providing high quality tennis coaching programmes for all ages and abilities. All our coaches are DBS checked and keep up to date with the latest tennis coaching methods. The tennis coaching team is led by former professional tennis player and twice Yorkshire doubles champion Matt McTurk who’s goal it is to provide a world class tennis coaching environment for all players to thrive and be the best they can be. Matt is one of Yorkshire’s leading tennis coaches and coach to a number of international junior players. Matt started playing tennis at age 11 and fell in love with the game from there. Matt came to tennis quite late at age 11 and played at county junior level, and then received his first cap for Yorkshire Senior team in 1991. Later that year Matt travelled to the U.S.A, attending Brunswick Junior College (ranked number 2 college in the Nation) on a tennis Scholarship. In 1994 Matt returned to the UK where he played professionally on the British Tour and futures circuit. Matt also played German League tennis and spent several months in Australia coaching and playing on the futures circuit. Matt is also the 2005 and 2006 Yorkshire Men’s doubles champion. 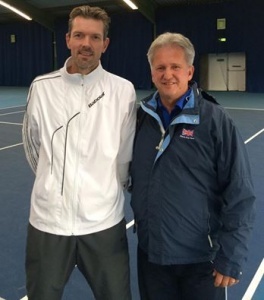 Matt is a Level 5 LTA coach and regularly attends coach education seminars and workshops to improve his coaching knowledge and has spoken at the RPT national tennis coaches conference and the BTCA National tennis coaches conference. Matt currently coaches some of the best juniors in Yorkshire and has two players he has coached from the age of five who he has taken to international level both of whom have represented Great Britain at U-14 age groups. 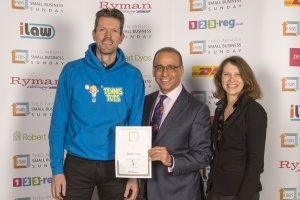 Matt is also the owner and founder of the award winning Tennis Tots programme which is a nationally recognised preschool tennis play and coaching programme which has recently won the approval of Ex Dragon’s Den member Theo Paphitis. Matt is extremely passionate about developing tennis in the local community and very excited about the future of tennis in Bradford.